To preserve Sweet Arrow Lake to ensure that future generations may enjoy the benefits and memories that the lake has provided to us and past generations. 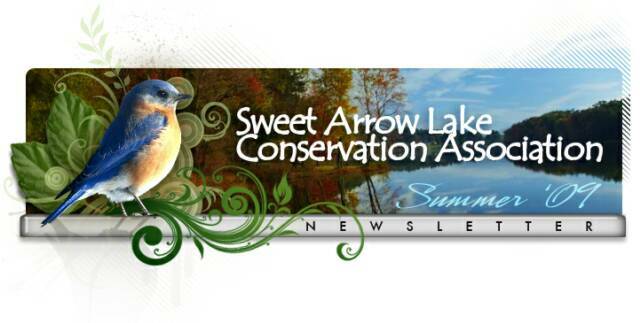 The Sweet Arrow Lake Conservation Association (SALCA) is an independent, all-volunteer, 501(c)3 non-profit organization. Our mission is to preserve and protect Sweet Arrow Lake and it's environment. Our purpose includes Environmental Education, Research, and Recreation specific to Sweet Arrow Lake's waterway and it's environment. SALCA does not own, manage, possess, or control Sweet Arrow Lake County Park. Futhermore, it is not SALCA's function to permit, manage, or maintain Sweet Arrow Lake County Park facilities.